By Laura Crommelin. This article originally appeared in New Planner – the journal of the New South Wales planning profession – published by the Planning Institute of Australia. The explosive growth of digital short-term letting platform Airbnb poses plenty of challenges for planners, with the impact being felt across both urban and regional areas. But what exactly is the nature of the disruption caused by Airbnb, and how should NSW’s regulators respond? Airbnb.com makes it easy to advertise a property for short-term rental—be it an entire home, or part of one (a private or shared room). 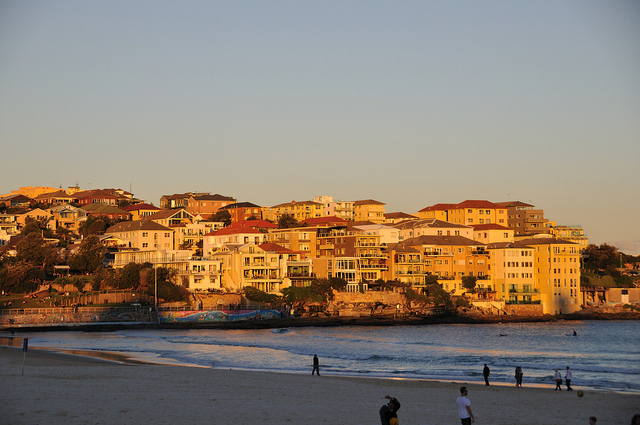 It has fast become big business worldwide, and Sydney is among Airbnb’s top 10 markets globally. To date, however, the NSW Government has not followed global cities like Berlin and London in restricting Airbnb use. This may soon change, as the government reviews thousands of submissions on short-term letting, made in response to a recent Options Paper. The Options Paper itself followed a 2015 Parliamentary Inquiry, which heard input from industry, government and community stakeholders. Numerous press reports have documented the diverse challenges Airbnb (and similar short-term letting platforms like Stayz) pose for regulators, from uncertainty under existing planning laws, to complaints about party houses and concerns about housing affordability impacts. At the same time, Airbnb provides a financial boost to tens of thousands of NSW residents, as well as the state’s economy more broadly—estimated at $115m in 2015. Airbnb also aligns with the NSW government’s collaborative economy strategy, which ‘forms a key component of the NSW innovation agenda. Regulatory responses must take all these considerations into account, as well as more pragmatic enforcement challenges (as efforts to regulate unauthorised music sharing sites have shown, restricting online activity is no easy task). transformation are to be shared equally. impacts on the availability and affordability of housing in areas with significant Airbnb use, where many properties have become permanent short-term rentals. Mapping of Airbnb use in Sydney has shown clustering of properties in three main areas: the CBD and surrounds; the eastern beaches; and the Manly peninsula. This means certain areas of Sydney bear the brunt of the Airbnb phenomenon. Furthermore, these are areas with large quantities of high density housing, meaning strata management issues and increased risk of neighbour disruptions. Regulatory efforts need to recognise and address these localised impacts, rather than simply assessing Airbnb at the city-wide or state-wide scale. To help with this, our forthcoming research will provide detailed mapping of the housing opportunities in the areas most affected by Airbnb in Sydney and Melbourne, including affordability metrics and socio-economic indicators. This analysis shows the majority of Airbnb use to be home sharing, but there is also significant commercial use of Airbnb. In our view, regulations should primarily focus on managing the latter. Our research goes some way towards unpacking the nature of Airbnb’s disruption, as does related work by researchers at the University of Sydney. In both cases, however, these analyses rely on incomplete datasets, as Airbnb has not made their data freely available for research or public use. Without it, as well as more extensive and independent engagement with Airbnb users, we’re left with a worryingly incomplete picture of Airbnb’s impact. This places researchers, regulators and the public at a disadvantage in trying to respond equitably and effectively to digital disruptions like Airbnb. In the smart city, data is power, and anyone lacking access will find themselves at a disadvantage. As major corporations like Airbnb, Google and Uber play an increasingly significant role in shaping how our cities function, we need to ensure the government and the public are wellplaced to assess the impact of these digital disruptions and respond accordingly. Any smart city strategy that fails to ensure data access is arguably not smart at all, but likely to see growing inequality and reduced efficiency. In this regard, the Airbnb experience might be seen as a test case. While tackling the housing disruptions raised here is an important part of the NSW government’s regulatory response, tackling the data access issue may well prove to be even more significant in the long run.